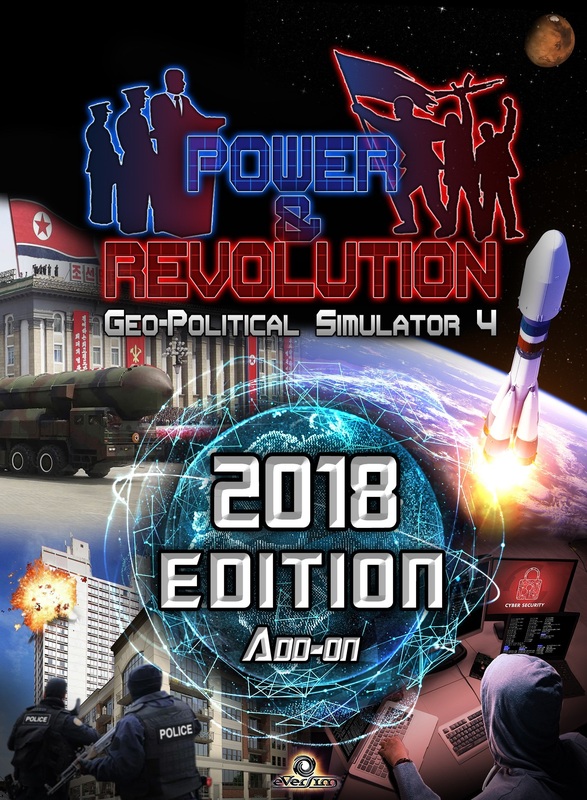 Afficher la liste complète de la rubrique "Jeux"
A North Korean test missile lands on American soil: play as the American opposition party and try to prevent the start of a worldwide conflict! The Spacex company has already planned their voyage to Mars: as the head of a large space agency, begin an ambitious program to become the first nation to send human beings to the Red Planet! Terrorist Alert: investigate the head of a terrorist organization and take down his cell before they launch an attack! The game combines management stages of economics, commerce, wargames, construction, espionage, simulation, and political influence and manipulation. Players can opt for the management of just one country or several simultaneously and design collaborative strategies to change the world's destiny. There are game settings across multiple domains: degree of activity of terrorist organizations, probabilities of natural disasters, reactivity of populations, outbreak of wars. More than twenty contextual scenarios with current events from today's world are integrated. Players can choose to play as a head of state or as a leader of the political opposition. In development since 2004, Geopolitical Simulator, a.k.a. G.P.S., strives to be ambitious and one of a kind, constantly evolving, with a team of dedicated specialists and developers. Its objective is to offer a simulation of today's world whose comprehensiveness is constantly being improved - notably with data that is regularly updated - and to develop new scenarios that reflect world events and geopolitical upheavals. G.P.S. is a software from the French company Eversim, a company specialized in the development of network simulation games in a persistent world. This company was founded in February 2004 by André and Louis-Marie Rocques the former heads of the independent video game dev studio Silmarils, which launched more than 30 games between 1987 and 2003. The simulation tools developed by Eversim are also used as serious gaming by several organizations (NATO for example) as a training and teaching tool for politics and diplomacy, as well as for simulating crisis situations.